Stretching some ten miles along the crest of Spruce Fork Ridge in Logan County, this mountainous battlefield was the site of the largest armed uprising in American history after the Civil War. 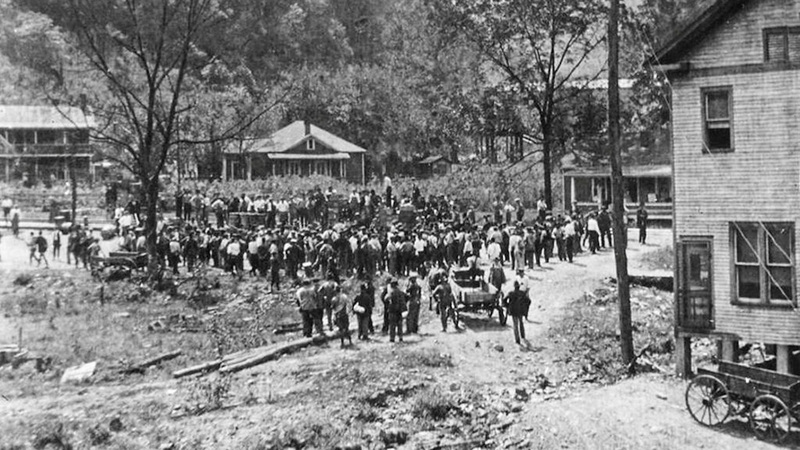 The battle was the culminating event of the West Virginia Mine Wars, a series of armed conflicts between miners and coal operators spanning nearly a decade. 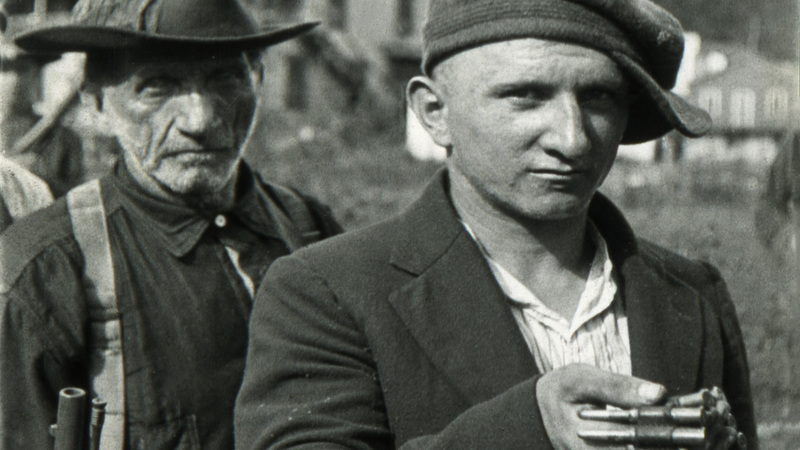 In August 1921, an estimated 10,000 armed coal miners marched from the state capitol at Charleston, West Virginia, towards the anti-union counties of Logan, Mingo, and McDowell. Their intent was to end the notorious Mine Guard System, which enabled the coal companies, backed by a private force of armed guards, to rule the coalfields as a police state. 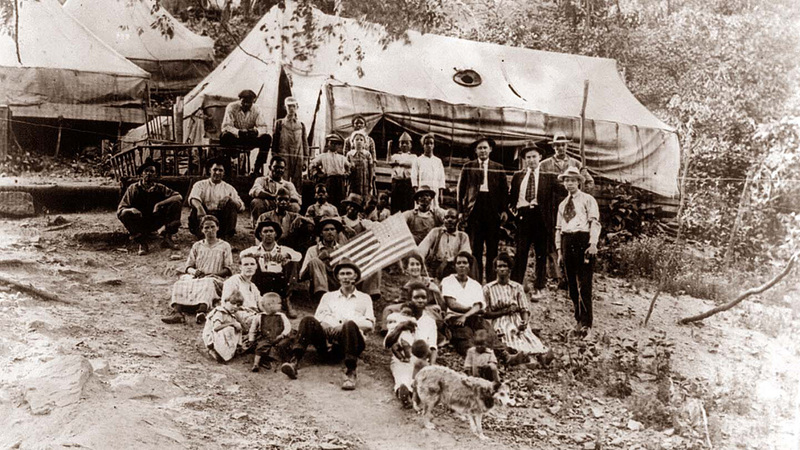 As the miners marched south, they encountered some 3,000 deputized men entrenched in defensive positions along ridgelines stretching from Blair Mountain northwards to Mill Creek. The battle, which involved assaults on machine-gun installations and bombs dropped from biplanes, continued for four days before federal troops intervened and the miners, unwilling to fight U.S. soldiers, laid down their arms. With few paved roads, Logan County was then characterized by mountains and narrow valleys dotted with small “company towns.” The heavily forested battlefield generally traces the path of several steep, undulating ridges. Concentrations of archaological remains indicate the areas of intense fighting. Bullet shell casings and buried guns are among the most common artifacts found on the battlefield, which also retains evidence of earthworks, fox holes, and defensive entrenchments. Some human remains may be buried there as well. The Blair Mountain Battlefield, covering 1,669 acres, was listed in the National Register of Historic Places on March 30, 2009, but was delisted within nine months, following a lawsuit.U.S. District Court Judge Reggie B. Walton vacated the delisting on April 11, 2016, declaring it to be in violation of federal law. He then referred the matter back to the Keeper of the National Register, who re-listed the battlefield on the Register on June 27, 2018.